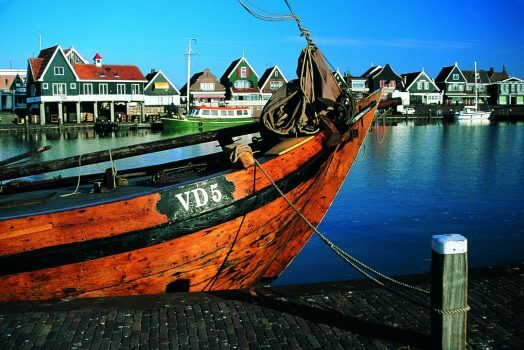 Volendam is a pretty, Dutch fishing village, located just half an hour north of Amsterdam. It proves an ideal base for many excursions in the Netherlands. The town offers many shops, restaurants and tourist attractions. 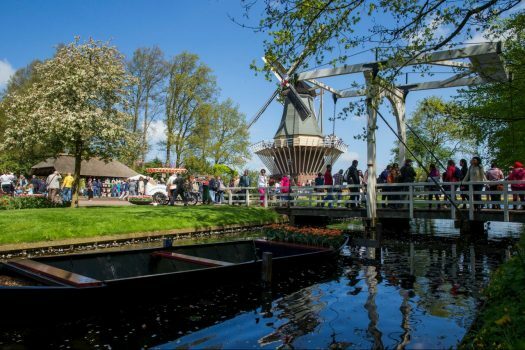 What’s more, from here you can also enjoy a range of different boat excursions to other Dutch towns. 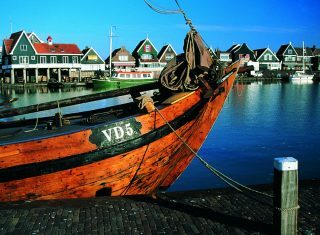 Located on the shores of the Markemeer, Volendam is a typical Dutch village with a special atmosphere. While staying in this wonderful town, there’s plenty to keep you entertained. Due to its vicinity to Amsterdam, day trips to the capital city are possible. From its canals to its world-famous museums and historical centre, Amsterdam is one of the most romantic and beautiful cities in Europe. The city is awash with museums! Why not discover the Anne Frank House, the Maritime Museum and the stunning and recently renovated Rijksmuseum art museum? For those that have visited Amsterdam before, there are plenty of alternatives to the ‘typical’ tourist experiences. Perhaps enjoy a visit to Castle Muiderslot, Naarden, or a behind the scenes tour of the theatre or opera house. During the Bulbfields season from late March to late May, a visit to Keukenhof Gardens should not be missed to see the tulips in full bloom! Only an hour’s drive from Volendam, the flower gardens are easily manageable for a day’s excursion. Each year, the world’s finest bulbfield and flower park displays its floral art with a different theme and a fresh look every day! Volendam is a pretty Dutch village north of Amsterdam and is Holland’s best-known fishing village, where the locals still dress in traditional costume. Spend time strolling through this beautiful village, see the old harbour with many old Dutch ships or perhaps enjoy a boat trip to Marken. There is the possibility to have your photo taken wearing traditional Volendam clothes and learn more about Volendam in one of its museums. The village offers plenty of tourist shops and restaurants where you can try the local smoked eels, a Dutch delicacy! 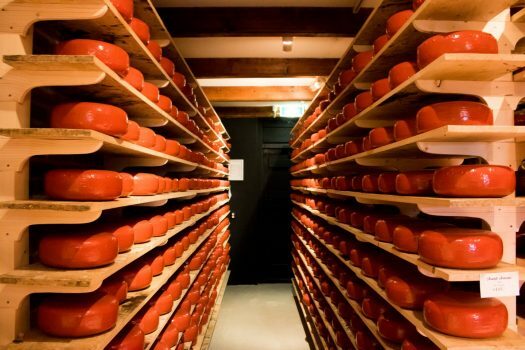 Why not taste one of Holland’s most famous exports – Gouda! 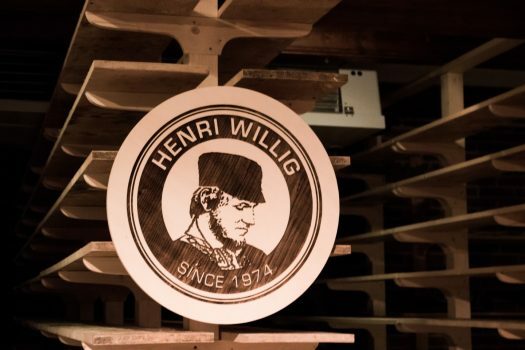 Near to Volendam is the Henri Willig cheese farm. Here you can learn about the traditional Gouda cheese making process, where staff still wear traditional Dutch dress. After the demonstration, groups are invited into the farm’s shop where guests can try different flavoured versions of Gouda cheese. The farm shop sells different types of cheese, as well as typical other Dutch delicacies and souvenirs. Amsterdam is one of the most romantic and interesting cities in Europe. The capital of the Netherlands and known for its artistic heritage, elaborate canal system and narrow houses with gabled facades. 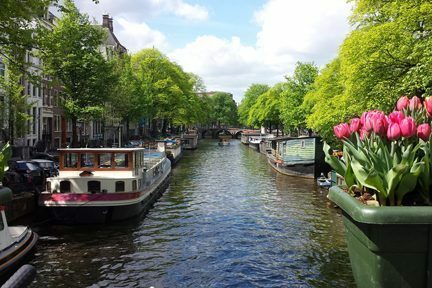 Explore this unique city on foot, walking along its many canals and why not enjoy a canal cruise to see the city from a different point of view? Each area of Amsterdam has its own character and its own unique variety of shops, restaurants, cafes, museums and attractions. Enjoy a free visit and tour of the famous Gassan Diamonds factory, where you can see the process of diamond cutting and polishing. Museum fans are spoilt for choice with great museums such as Rijksmuseum, Van Gogh Museum and Anne Franks House. Alternatively visit the Heineken factory and enjoy a self guided interactive tour through the dynamic world of Heineken! Experience one of the world’s finest bulbfield and flower parks. Originally the kitchen-garden for the Dutch Royal Household, landscape architects Jan David Zocher and his son redesigned the castle gardens in 1857. This park, in the English landscape style, still forms the basis of Keukenhof Gardens today. Over 50 years of displaying its floral art with a different theme every year and a fresh look every day, it has developed into a showcase for the flower bulb and ornamental plant industry. In the space of eight weeks Keukenhof shows what the Dutch floricultural sector has to offer. The focus in the park is on the 7 million spring-flowering bulbs, in which the 100 participating companies show their living catalogue. There is the possibility to see the gardens from a different perspective on a ‘Whisper Boat’ cruise. Alternatively optional guided tours are also available. If time allows, take in some final sightseeing and souvenir shopping. Commence your return journey. 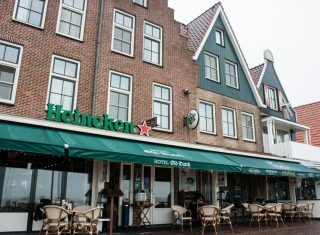 Family run hotel, located on the waterfront in the centre of Volendam. 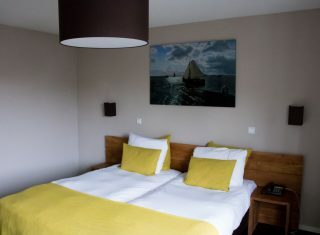 32 rooms in total, all equipped with safe, telephone, TV, small desk and shower. 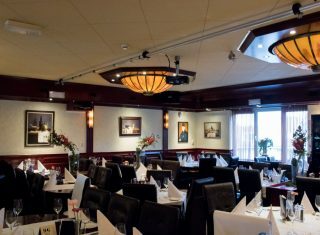 The hotel’s restaurant offers typical Dutch and international cuisine. In summer months, guests can sit outside on the hotel’s terrace overlooking the lake. Coaches park at the public coach parking in town and luggage has to be loaded/unloaded at the back street as there is no coach access at the front of the hotel, however the hotel offers luggage service. Coach – Depart from your local area and travel through Europe to the Netherlands by coach. We can arrange short sea ferry crossings from Dover – Calais / Dunkirk or Eurotunnel crossings from Folkestone – Calais. Alternatively we can arrange overnight ferry crossings from Newcastle – IJmuiden (Amsterdam), Hull – Rotterdam/ Zeebrugge , or Harwich – Hook of Holland. 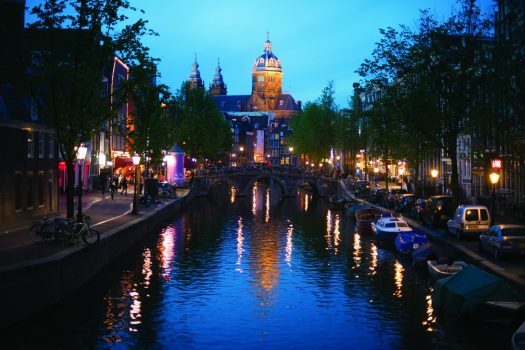 Air – Fly to Amsterdam from a number of regional UK Airports with low-cost and scheduled carriers. We can arrange transfers to / from your local airport as well as from Amsterdam to your hotel. 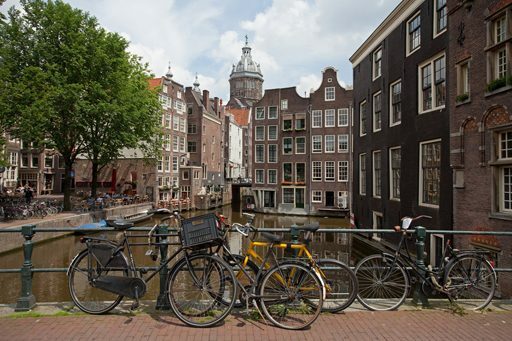 Train – Take the Eurostar from London, Ashford or Ebbsfleet direct to Amsterdam, with a change a Brussels-Midi on the way back.